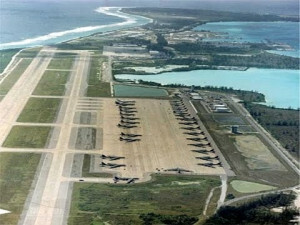 American Military Base on Diego Garcia: What’s Next? During the 2016 pre-election campaign, the US presidential candidate, Donald Trump, declared that Japan and South Korea should pay more for the US progressive military presence in Asia. He was surprised by a huge number of the US overseas bases. Does this mean that after entering the White House, Donald Trump will commit to making considerable changes in this context? Apparently, all this may sink into oblivion due their lack of basis. However, although there is no confirmation of the extension of the Diego Garcia lease, there is no doubt that it will happen in the nearest future, as it is in the interests of both countries.